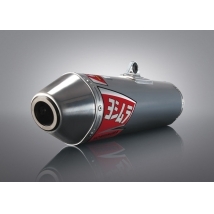 The RS-2 is a potent and versatile design that evolved from our original TRC, engineered to provide increased power and power delivery. With a different pyramidal shape that features increased volume, the RS-2 is a quieter system with a larger core - and it offers the added bonus of outstanding performance in a value-priced package. If you're looking for serious performance, you came to the right place. 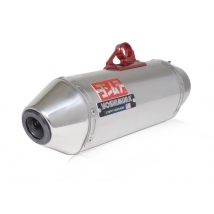 The TRC is a race-proven exhaust featuring a tri-oval design, trick cone-shaped end cap and an easily removable low-volume insert. The TRC has a straight baffle leading to that distinct cone-shaped end cap. 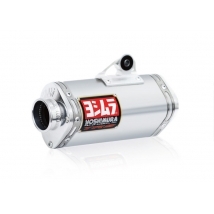 The TRS is dazzling proof that you can get Yoshimura quality and performance at a very friendly price. 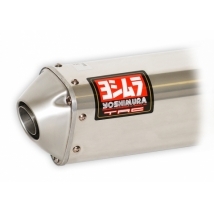 The TRS is a race-bred muffler that features the clear look and sound that Yoshimura is famous for. 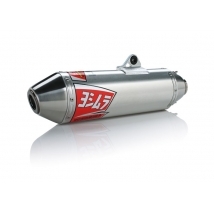 The straight baffle of the TRS leads to a single polished stainless steel tip.